Yucca leaves fan outward from it's spring flower stem creating a stunning symmetry and pattern. 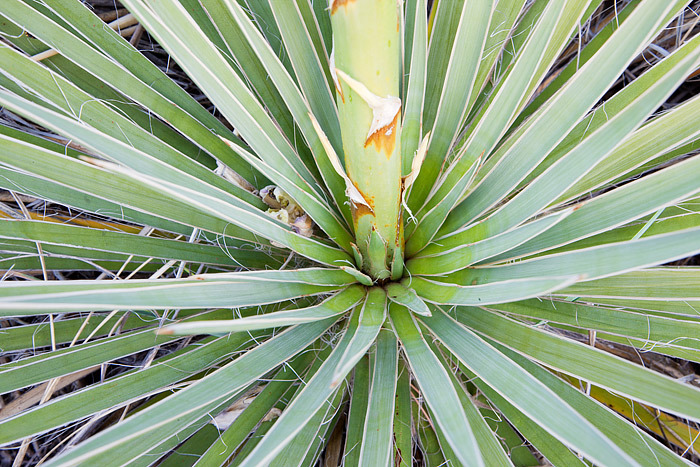 I photographed this Yucca plant on Flagstaff Mountain on the west side of Boulder. Yucca's are a common site on City of Boulder Open Space and Moutain Park's property. Their a hearty plant that does well in Colorado's dry climate. Photo © copyright by Thomas Mangan.